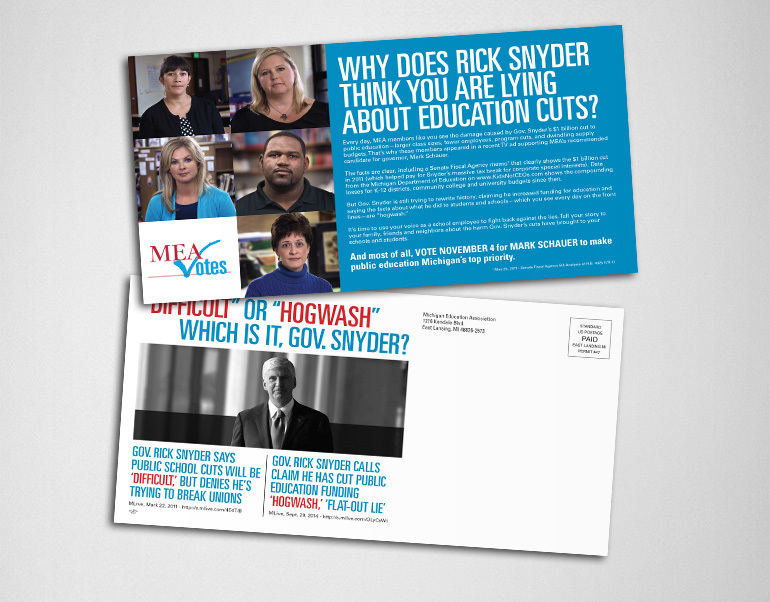 The 2014 election in Michigan was an important one for the Michigan Education Association. 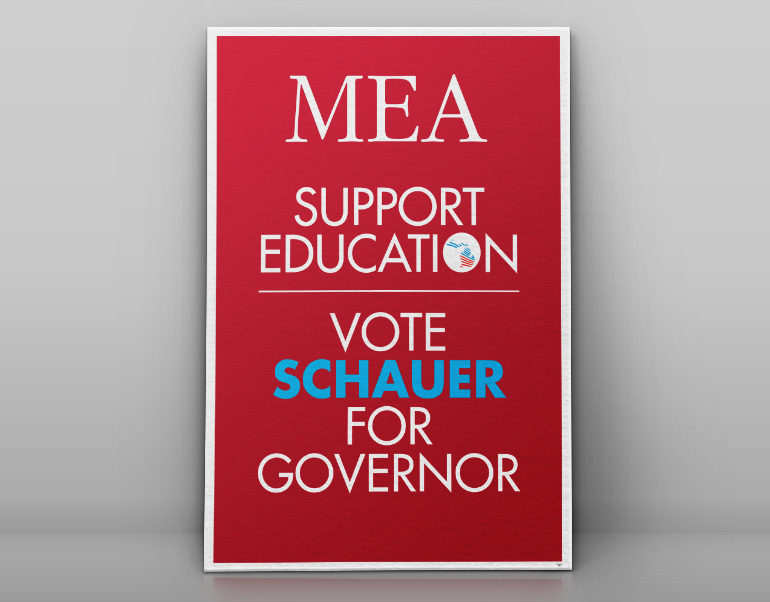 The current governor and controlling parties of the state house and senate were actively trying to dismantle the union and work to privatize public education. 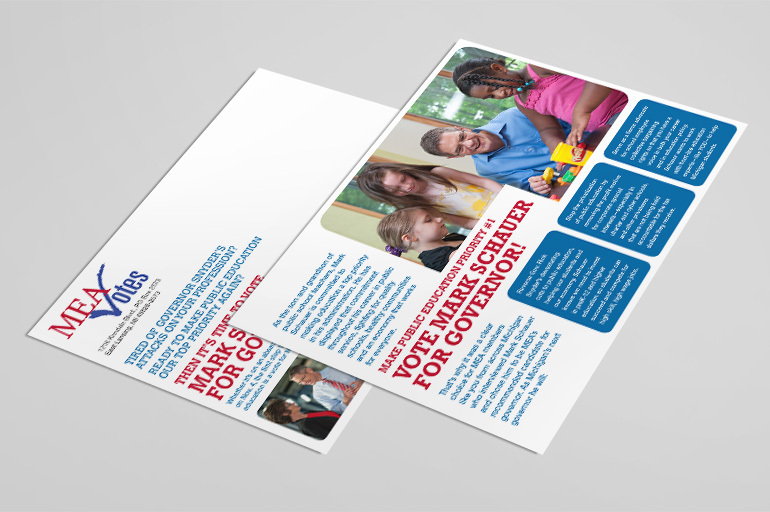 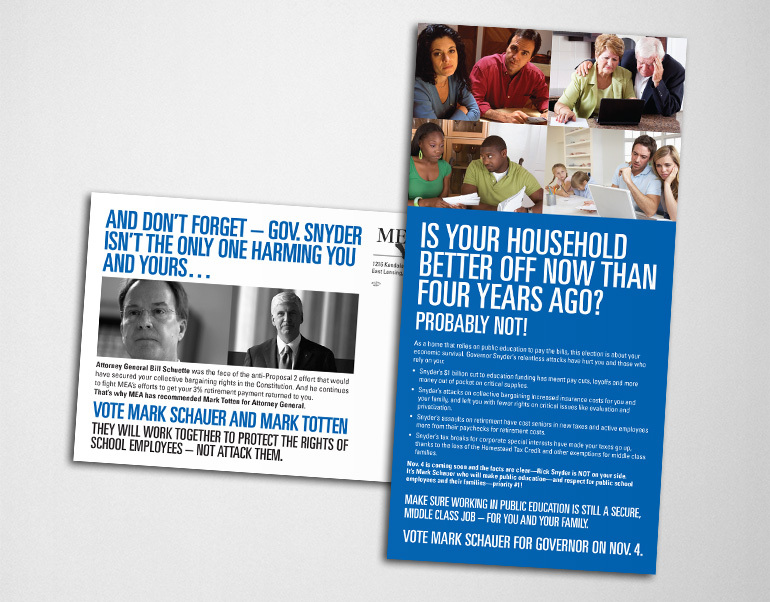 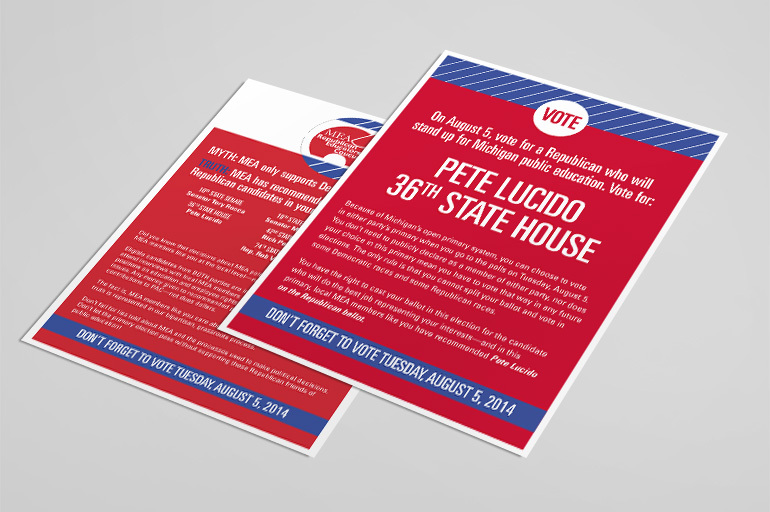 I produced a variety of materials for the election including posters, postcards, buttons, and stickers. 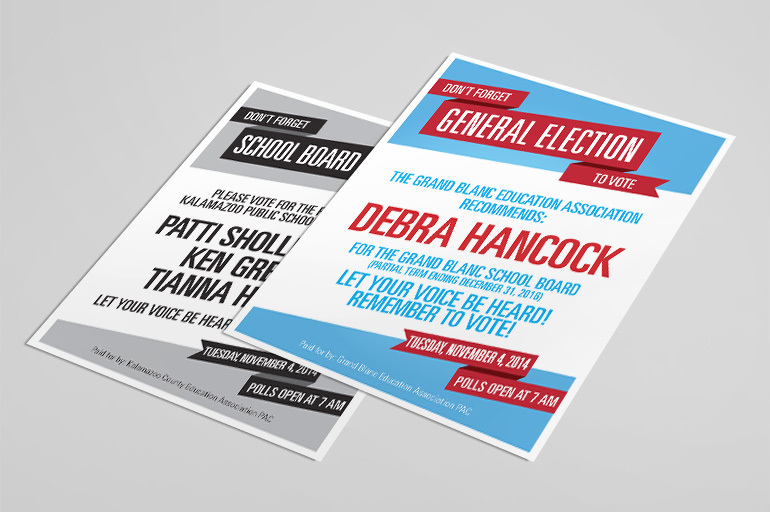 I created a few main templates for postcards that were available in full color and black and white. 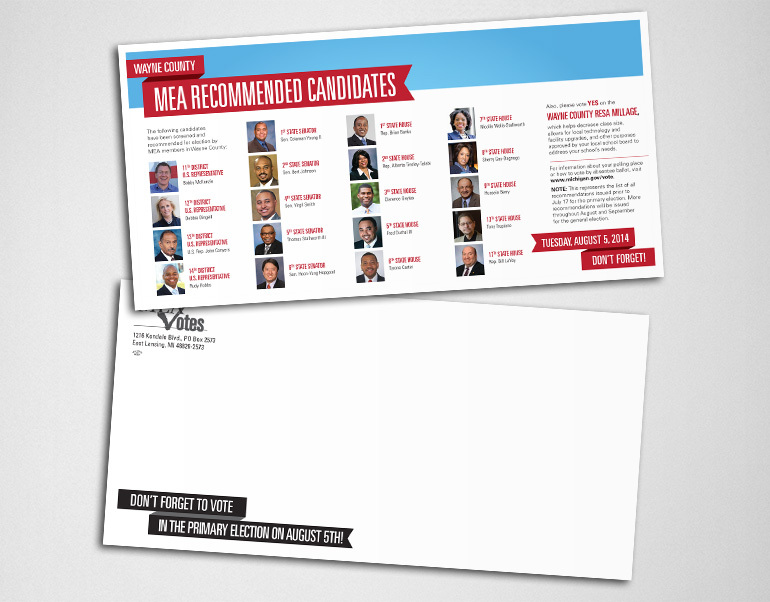 The postcards also had to be flexible enough to work for multiple situations and with varying amounts of information. 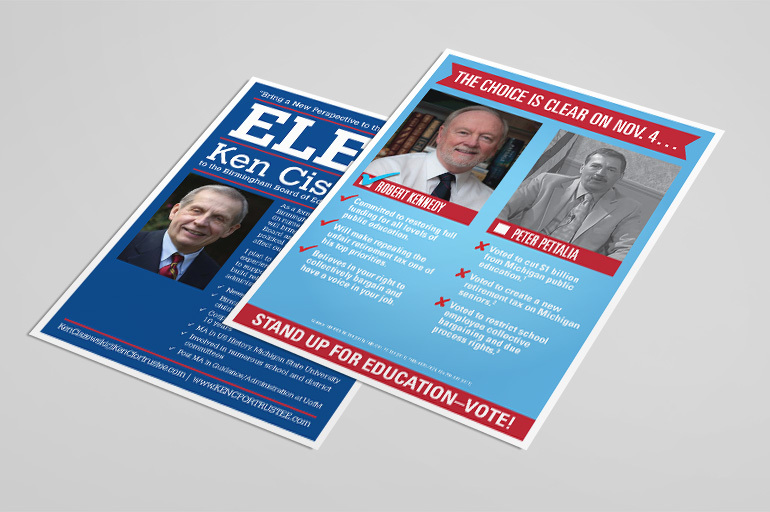 I went with a more cyan blue along with the traditional red to help stand out from other election materials they may receive. 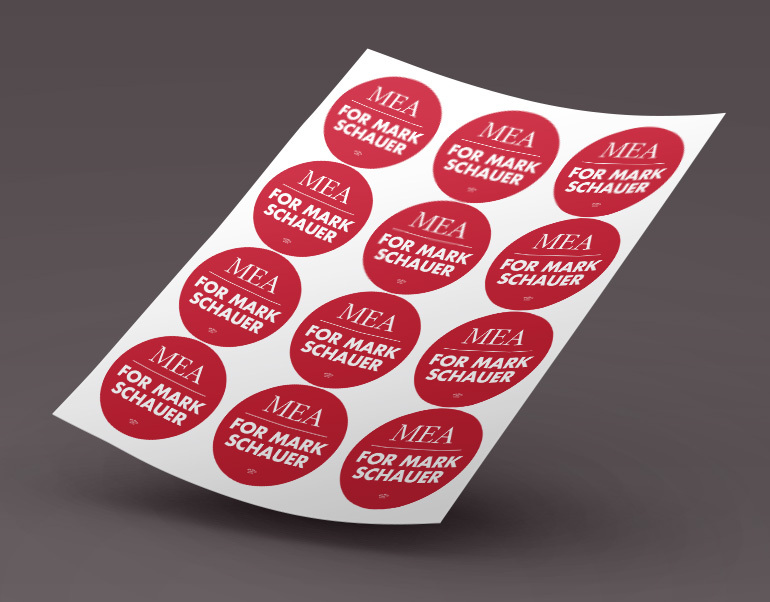 Over the course of the election, I had to create a variety of other customized materials.